In 2013, the FDA looked to better incorporate patient feedback into their regulatory decision making. This led to the Patient Preference Initiative, which was touted by the agency as a means of allowing patients with conditions that could be improved through the use of medical devices to be more involved in the regulatory process. However, since then, little has come from this effort, besides a sparse number of workshops intended to "discuss ways to incorporate patient preferences on the benefit-risk tradeoffs of medical devices into the full spectrum of the Center for Devices and Radiological Health (CDRH) regulatory decision making," according to the Federal Register. Now a recent draft guidance document suggests that the FDA has returned its focus to the inclusion of patient preferences. The guidance, "Patient Preference Information –Submission, Review in PMAs, HDE Applications, and De Novo Requests, and Inclusion in Device Labeling," aims to allow patient perspectives to play a greater role in the regulatory process. "The Agency understands that patients and caregivers who live with a disease or condition on a daily basis and utilize devices in their care may have developed their own insights and perspectives on the benefits and risks of devices," the guidance read. "FDA believes that patients can and should bring their own experiences to bear in helping the Agency evaluate the benefit-risk profile of certain devices." The guidance calls on medical device companies to collect and review patient preference data, and then submit it as part of their medical device applications. The FDA will then assess patient preferences during their review of the device and determine how well it matches patient needs. However, the details surrounding the agency's decision making process were vague. According to the Regulatory Focus, the text left out such important considerations as what the submitted patient preference data should look like, and how companies are able to ensure the data constitutes "valid scientific evidence." The guidance defines patient preference information as "qualitative or quantitative assessments of the relative desirability or acceptability of attributes that differ among alternative diagnostic or therapeutic strategies." 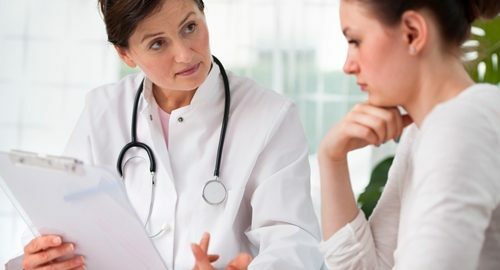 What was made clear was that the patient feedback should represent the general population and give insight into the benefit-risk tradeoffs that patients find acceptable. The studies should also include any questions patients may have about the product, implantation procedure and duration of effect. These considerations will likely be weighted differently depending on the approval pathway. As the medical device industry grows more competitive, the quality of a device's body of of clinical evidence and its adherence to FDA best practices during the approval process can lead to a wider market adoption. To realize this end, medical device companies rely on experienced clinical trials data management to successfully navigate the approval pathway.